My writing covers a wide range of subjects from the distant stars of the Horsehead Nebula to the smallest molecule of the human heart that still cries. I write Poetry; Science Fiction, Fantasy & Horror; Children's Stories; articles about Health Issues; and Folksongs, with the occasional piece of artwork thrown in here and there. Debra Grace Khattab has won literary and health writing contests, as well as being featured at reading series all over the San Francisco Bay Area. She's been published both online, and in magazines and anthologies such as the 9/11 Anthology called An Eye For An Eye Makes The Whole World Blind edited by Allen Cohen & Clive Matson, The Lion Speaks (a Hurricane Katrina anthology), Bay Area Poets Seasonal Review, Binnacle, The Circle, SoMa Literary Review, The Pittsburgh Quarterly Online, Writer’s Choice Literary Zine, A Room Without Walls, The Real Eight View Poetry Ezine, Sacred River, Sonoma Mandala, Blue Buildings and others. She has had articles published about health, and how to write SF&F critiques online. In addition to the Word Beat poetry series which she hosted, running the website and publishing a WB literary ezine for the Bay Area for 4 years, she also hosted a number of other series, helped with PR at others, and was VP of the Bay Areas Poets Coalition, BAPC. In addition to writing poetry, she also writies science fiction, fantasy, horror, fiction, and folksongs. 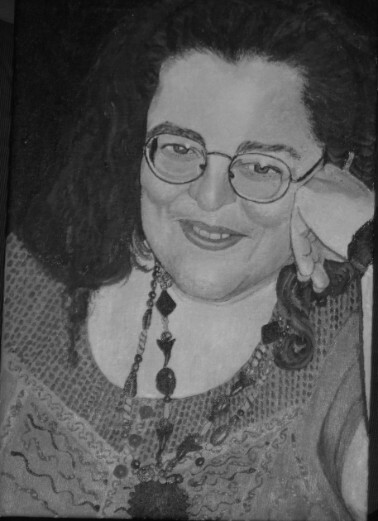 Originally a Presbyterian from Iowa and currently a Zen Buddhist/Pagan/Unitarian Universalist, Debra Grace Khattab lived on the streets of Houston, lived in the LA area as a practicing Muslim while married to a Palestinian PLO Veteran and Diplomat, and has been in the San Francisco Bay Area for almost two decades. She has an English degree from SSU, and has put on hold completing a Physics degree while homeschooling her two sons. She has also become a medical advocate for herself and her older son disabled by migraines and fibromyalgia. Chronic illnesses have been a part of her life for over 20 years, including fibromyalgia, CFIDS, and five others. She and her husband became legal guardians of a teenage daughter, and have had many houseguests over the years. She has been in three triads, one for five glorious but troubled years. Currently she lives in Berkeley with her Jewish-American Hippie husband, their two teenagers, and a zoo of pets. She considers herself to be an Oracle poet and says, "Poetry has both saved my life and brought me love, so I am forever grateful to it."